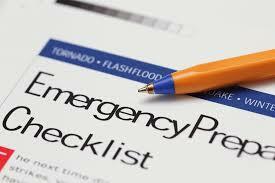 Houses & Homes VA: Do you really know what to do in an emergency? Do you really know what to do in an emergency? No matter where you live there is always the possibility of the need to deal with a situation that threatens your property or even the safety of yourself and loved ones. Being prepared is step 1 when dealing with any emergency and staying calm is essential but there is a third part to the puzzle: knowing what to do. Below are the 10 most likely scenarios that homeowners may have to face at some point and what it is you should do and, perhaps not do in such an event. Wild Animal Invasion – if you live in the countryside or even the suburbs there is always the very real possibility of a wild animal finding its way into your home. Obviously the seriousness of the situation depends on what animal decides to pay an unexpected visit. A bear or snake in your home is certainly more concerning than say a raccoon for example, but even small creatures can do damage and rabbis is always a possibility as well. Sure, a cute squirrel running around the front room doesn’t seem threatening but if it were to bite someone the results could be serious. Obviously if the uninvited visitor is a clear danger (such as the aforementioned bear or snake) your best course of action is to leave immediately and seek help. If a less threatening guest has shown up and it is safe to do so it’s best to isolate the critter by closing the doors to other rooms in the house and opening a window in the room that it’s in before leaving and closing that door as well. Do NOT try to chase your visitor out. If you scare your uninvited guest it may panic and hide or worse, defend itself. It’s also best to not involve your cat or dog for assistance. Win or lose there will most likely be quite a mess to clean up and the possibility of disease is as real for your 4 legged family member as it is for you. Have someone observe the opened window from the outside so that you’ll know when (and if) your surprise visitor has left. If this doesn’t happen it’s time to call your local animal control agency for help or if no other recourse, local law enforcement. Grease Fire – fire requires an extra measure of calm and fast thinking. If the fire is in an appliance such as a toaster oven or other appliance first unplug it. You should have an ABC rated fire extinguisher in your kitchen and that’s your best bet for grease fires. NEVER, EVER, EVER try to extinguish a grease fire with water. Hot grease will splatter everywhere if you pour water on it and there is an excellent chance that you will be burned. If you don’t have an ABC type extinguisher (specifically designed for grease fires) your next best bet is to use baking soda or even a lid to smother the flames. This will extinguish the fire and will not cause the grease to spatter. If the fire is on the stove top, turn off the burner before dousing the flame. If inside the oven turn off the oven and do NOT open the door. The sudden rush of oxygen into the oven could actually cause the fire to “flash”, an occurrence very similar to a small explosion. Simply leave the oven door closed and allow the fire to burn itself out. Finally, NEVER try to carry the burning pan outside. Hot grease could easily burn you if spilled and ignite other items as well. Again, if you can’t extinguish the fire leave the house immediately and call for professional help. Your safety is more important than anything you might own. Burst Water Pipe – even though a burst pipe is not necessarily a threat to your safety it certainly qualifies as a household emergency. Preparation is your best friend in this event. Know where the main water valve is located in your home before this happens and make sure that it is easily accessible just in case. Step 1 is to turn off the water as quickly as possible but don’t be surprised if the water keeps coming! There will still be water in the pipes and the next step is to turn on the lowest faucet in the house (such as in the basement) to drain as much of the remaining water as possible to reduce any further damage. Now you will need to clean up the water as quickly as possible – the longer it remains, the greater the damage will be.